Sofia region - the capital city and outlying areas up to 40km. The year-round airport for international flights and good connections for all internal travel. Also close to the beautiful Vitosha Mountain Nature Park. Stara Planina (Balkan, Bolkan) Mountain Range - the central East-West mountain range with different climate and countryside on each side. 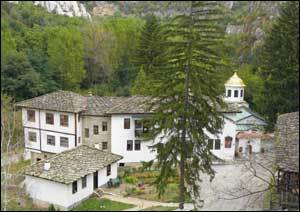 Many interesting villages, mountain gorges, forests and unspoiled nature. Northern Black Sea Coast (Varna region) - the biggest of Bulgaria's ports with long-established sea-side resorts now being rapidly modernized. Lovely beaches and, further North, wilder rocky coastline. Southern Black Sea Coast (Bourgas region) - the second port, less developed beach resorts and the ancient Thracian towns of Nessebur and Sozopol. Rila, Pirin and Rhodopes Mountains - the three Southern mountain ranges, each with its own special characteristics. All three are wonderful in the Summer with lakes and forests and each has a winter skiing resort.